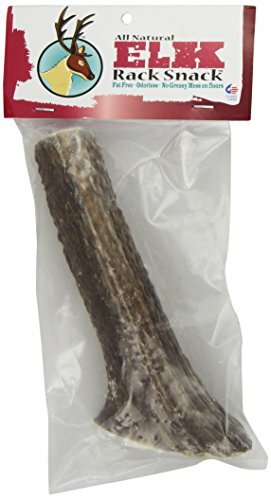 Elk Rack Snack, 100-Percent All Naturally Shed by Chasing Our Tails, Inc. 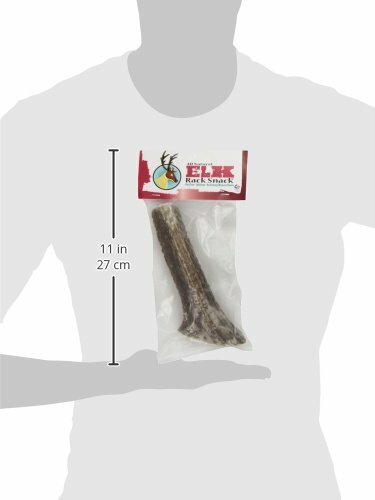 The Chasing Our Tails Elk Rack Snack is a perfect indoor chew treat for larger dogs (41-75 pounds) as it doesn't leave a greasy mess across the floor, it doesn't smell and it's helps remove tartar build-up from your dog's teeth due to the calcium, zinc, manganese and potassium. We recommend this product not only as a safe treat and chew toy for your dog, but also because it has a number of properties that are good for your dog's health.